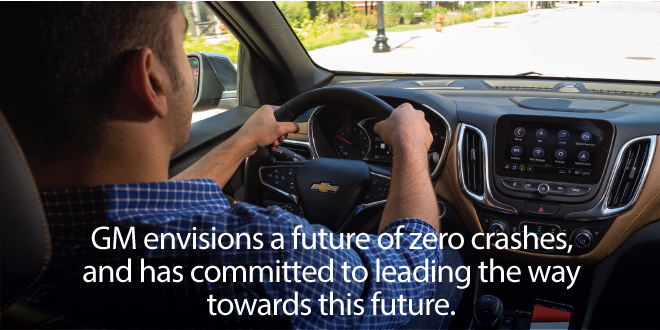 As a leading global automaker, with 52 nonmanufacturing and 100 manufacturing landfill-free sites around the globe, General Motors (GM) is firmly committed to protecting the safety of its customers. Accordingly, in the past few years GM has completely refreshed its approach to safety, strengthening resources and building a culture of safety. This case study is based on the 2016 Sustainability Report by GM published on the Global Reporting Initiative Sustainability Disclosure Database that can be found at this link. Through all case studies we aim to demonstrate what CSR/ ESG/ sustainability reporting done responsibly means. Essentially, it means: a) identifying a company’s most important impacts on the environment, economy and society, and b) measuring, managing and changing. In its 2016 Sustainability Report GM identified a range of material issues, such as customer satisfaction, vehicle efficiency & emissions, employee relations, operational waste, product innovation. Among these, promoting vehicle safety stands out as a key material issue for GM. To identify and prioritise material topics GM carried out two online surveys among GM employees and external stakeholders, asking respondents to prioritise the importance of sustainability topics and subtopics. The surveys were completed by 1,052 GM employees and 367 external stakeholders. What actions were taken by GM to improve vehicle safety? GM has structured its decision-making process for safety issues to include executives at the highest levels of the company. This includes appointing, in 2016, a first-ever Vice President of Global Vehicle Safety. In addition to leading GM’s product safety organisation, this senior executive has global responsibility for developing GM’s vehicle safety systems, confirming and validating GM’s vehicle safety performance, identifying emerging issues and conducting post-sale safety activities, including recalls. GM has been expanding its Product Safety organisation, adding over 200 employees since 2014. This includes more than 40 new internal product investigators in North America who help identify and quickly resolve possible vehicle safety issues, and 32 safety forensic engineers responsible for early identification of potential vehicle safety issues. Additionally, GM reorganised its Global Vehicle Engineering organisation to improve its cross-system integration and address functional safety and compliance in the vehicle development process. GM’s Speak Up for Safety programme aims to offer employees, suppliers and dealers an easy, consistent and unfiltered way to report potential vehicle safety issues. Through a toll-free phone number, a smartphone app, email or the Speak Up for Safety website, submitters can report any potential vehicle safety risks, suggesting safety-related improvements. Subsequently, GM’s dedicated safety team funnels employee concerns to the appropriate departments and, through the entire process, potentially interconnected risks that cross products can be better identified. Employees across GM have embraced Speak Up for Safety and, since the programme’s beginning, over 12,000 concerns and/or suggestions by employees and dealers have been logged globally. GM has been making greater use of data analytics, to identify potential vehicle safety issues. A data analytics team is merging multiple inputs (such as Speak Up for Safety submissions and dealer service records) to build a unique, comprehensive database. Statistical analysis and modelling can identify possible issues much earlier, by linking perceived disparate issues. Note to GM: With each case study we send out an email requesting a comment on this case study. If you have not received such an email please contact us.